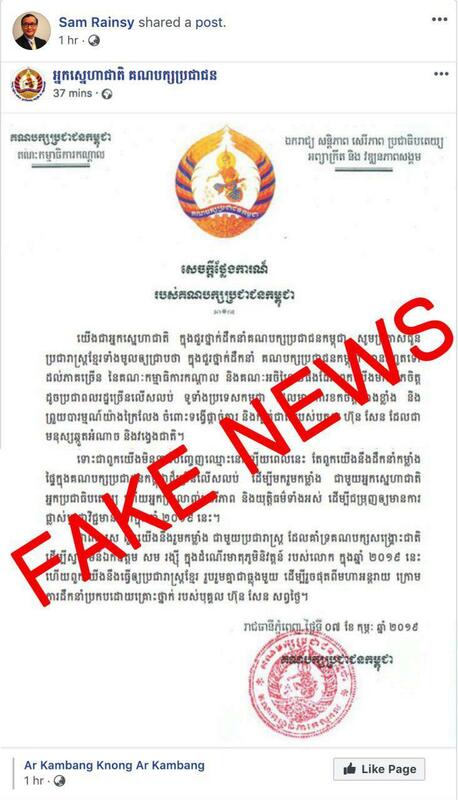 Phnom Penh (FN), Feb 8 - Cambodian People’s Party spokesman Suos Yara announced through Fresh News on Friday that the CPP’s statement posted on Sam Rainsy’s Facebook earlier today is a “fake” statement. "I would like to reject and dismiss a fake statement of CPP posted on Sam Rainsy’s Facebook 28 minutes ago,” stated spokesman Yara. A fake statement above is believed to cause disunity among CPP.